“Then the voices of the Ainur, like unto harps and lutes, and pipes and trumpets, and viols and organs, and like unto countless choirs singing with words, began to fashion the theme of Iluvatar to a great music; and a sound arose of endless interchanging melodies woven in harmony that passed beyond hearing into the depths and into the heights, and the places of the dwelling of Iluvatar were filled to overflowing and the music and the echo of the music went out into the void, and it was not void.” The Silmarillion. J.R.R.Tolkien. When we are born into this world, we bring with us the celestial song of infinite possibility, and our chakras vibrate with the music of creation. Energetically we have a clean slate, but as oneness enters the third dimension it becomes dual, and in duality there is a separation from source, and as a result conflict; conflict equals trauma, the shrinking back of soul. “God has mercifully ordered that the human brain works slowly; first the blow, hours afterwards the bruise.” The Return. Walter de la mare. I’ve heard it said that our school days are the best years of our lives. Mine were full of fear, re-enforcing my feelings of self-doubt and value as a being… a veritable hell hole for a traumatised young girl. The education system is a bear garden of competition that epitomises the matrix game of me versus you. We are forcibly conditioned by the status quo to want to be winners, to excel at all costs even to the detriment of our psyche, and the fear of failure, of not living up to the expectations of our peers can eat away at our souls and degrade the true music of our lives, causing a further distortion, a discordant crystallisation in the energetic fields of our chakra system. Shock, betrayal of trust, violence, distress, shame, guilt and misery are the screws that bore into our consciousness. The symphony of self becomes ugly and jarring, and the vibrant colours of our aura dim and become tainted with our pain. Puberty arrives and with it the compulsive hell of finding a partner in the sexual queue. In many cases puberty brings with it a total demolition of what little trust remains. The triggers of our past traumas rear their ugly heads, and pop up on the movie screen of self; and we once again act out and relive the tortured feelings and emotions of our childhood experience: the ugly feelings of violation, rejection, abandonment, resentment, jealousy, aggression and low self worth. We are fields of vibrating energy within a sea of vibrations and our thoughts [electromagnetic charges] create our reality. One way to describe this moving power is to think of a screen of infinite, thin horizontal pulsing lines tightly packed together vibrating all around us. These vibrating strands are realities that exist on a different frequency to ours just like the myriad of channels on a TV screen. We, as electro-magnetic beings resonate on one of those bands of frequency, and what kind of reality we encounter[channel we tune into] is based solely on our resonance: It is the thoughts and insecurities we carry in our subconscious minds that create our world. If low self esteem, guilt, envy, anger, resentment and revenge resonate within our consciousness, we will unwittingly attract through sympathetic resonance the negative reality that contains all of the above, and never have an inkling that our lives are created by our thoughts. “As he thinks, so he is; as he continues to think, so he remains.” James Allen, As a Man Thinketh. Many of us blame our circumstances, or bad luck for our travails in life without realising that it is our mindset that creates them. We are transmitters and receivers of energy, and when we are fixated on the traumas of the past, whether in anger or in sorrow, we constantly replay ‘the negative scenario’ within our minds, and this acts as a trigger for ongoing dysfunction in our lives. While we are inside the trauma, we are stuck in fearful mode, and translate the fears from the past into the future…and seldom live in the only moment we are truly alive…the NOW. Unresolved trauma is the mind killer, the shatterer of dreams that drives us into excess and self destructive habits. Our pain is the Loosh Rote, the reason for the human farm and the sacrificial nature of our planet. See my article Meet The Firm. There are an increasing number of souls on the planet who are the victims of not only misery in the past but massive trauma in the present. The fear of lost jobs, debt, re-possessed homes and the increasing fetters on our freedom have brought many to their knees. When the pain of the past engulfs us in the present, our unresolved traumas are re-enforced within our psyche, until dysfunction, confusion and the inability to act overtakes our mind. This is the cause of manic depression, despair, self loathing, self mutilation, substance abuse and suicide. Richard Friedman writing in the New York Times in 2013 had this to say: Fully 1 in 5 Americans take a least one psychiatric medication every day. It comes to something when sixty million people can’t go through the day without help from the poisonous products of Big Pharma! No quick fix for trauma. Childhood trauma stabs at the core of our being, and affects us on every level of our consciousness. In many cases the hell of childhood is re-enforced throughout our lives by those we choose as partners. Through sympathetic resonance we subconsciously attract those with similar traumas in their lives. Our symphony of self becomes harsh, jarring and demanding and, just like robot soldiers we dance to a demonic tune, and become totally immersed in the no win matrix game of ‘us versus them’ and’ me versus you’. We become possessed by the hate-filled force that overwhelmed and crucified our innocence, and value as a being. There are many types of therapy to heal our wounded minds, but we will never be rid of the crystallised patterns of violence, betrayal, fear and broken trust that cling to our energy until we change the music. 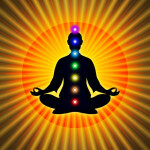 “Each chakra has its own pulse and qualities known as the elements of Ether, Air, Fire, Water and Earth. They are universal and can be found in the human body-psyche as well as music, nature, speech, etc. we must be free to dance with the rhythm of the elements. We can then merge with the rhythms of the cosmos. Our mind as well as our body becomes a resonant sounding board for spirit. Music and Sound in the healing Arts. John Beaulieu. page 81. Our body is like a musical scale. When it is properly tuned we have a sense of well-being and perfect self-expression. Dr John Beaulieu N.D.
On a personal note, I was severely abused as a child and as a result I suffered from Chronic Anxiety Syndrome for most of my life. In 2003 I was introduced to sonic re-patterning in the form of the CD Calendula: a suite for tuning forks produced by Dr John Beaulieu. N.D. This wonderful healing tool allowed me to re-pattern the trauma of my childhood. The emotional energy and fear of my abuse slowly faded, and although I retain the memory, it is of no account, for it no longer has the power to repeat its sickness in my life. It takes time to re-pattern the energy of the misery and pain of the past. Sonic re-patterning therefore cannot undo these deep fears and anxieties overnight. It works slowly, gently stripping off the layers of our malaise like the skins of an onion. Below are a few paragraphs from the booklet with Calendula for further information. Calendula uses a set of BioSonic Solar Harmonic Spectrum tuning forks precisely tuned to the musical intervals developed by Pythagoras, the ancient Greek mathematician and philosopher. These intervals are the basis of our modern musical scale as well as being the source of much great art and architecture. Listening to musical intervals can have a healing effect on our body. When we hear an interval our nervous system and body posture resonate with and entrain to it. Intervals have been used this way for thousands of years. The ancient Chinese philosopher Lao Tzu referred to ‘the perfect fifth’ [the interval created by the tones C and G] as the sound of Universal harmony, balancing the forces of Yin and Yang. In India, the fifth is used to create a sound through which Shiva calls Shakti to the dance of life. Our reality by its very nature is a game of opposites, me versus you and us versus them, and trauma, hurt feelings and anxiety exist around every corner on the road of life. 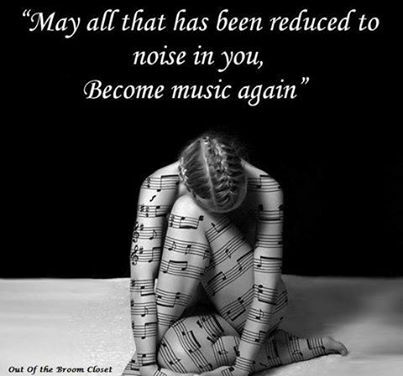 Instead of carrying around the noise of the battle in our minds, we can by re-patterning negative frequencies as they arise, bring back the music of the spheres, the celestial symphony of self into our lives. 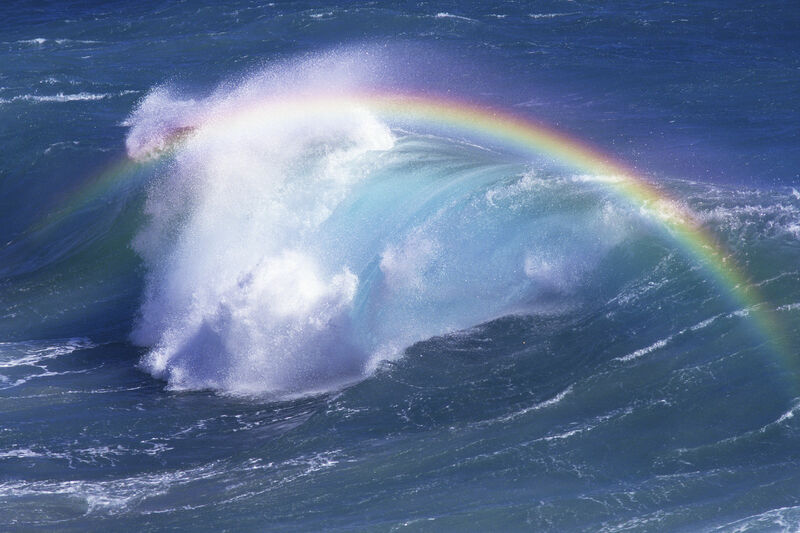 Whatever label we give the enemy of life, it is an energetic being with a frequency signature. To overcome the parasite, we have to vibrate faster, and sonic re-patterning is the first step in regaining sovereignty over our own minds and emotions. Sonic re-patterning gave me back my life. Perhaps your best article so far. Calendula is indeed a very powerful tool to repattern, transform and transcend . After you read this, read it again! There is nothing like the perfect fifth to calm the noise of the day. If eye purchase your book from Amazon, do you get less monetary consideration than were eye to purchase directly from your site? The only reason to ask is because of an existing 1-click relationship with those bloodsuckers, ’cause I have a Kindle. I would not buy a Kindle version, as methinks your book deserves paper, and not some electronic blurp that can be lost due to some other electronic blurp. You can buy the Key made of Air from iUniverse…its whatever you are comfortable with. As for ringing tones, I don’t hear them all the time, but when I do, the tone seems to come from ‘inner space’. Its a peculiar quality that’s hard to explain. If you sonically re-pattern you will be able to pick out certain tones as intervals. These are frequencies resonating on one of our elemental fields. Once you recognise the tones you will know what information field is trying to access you. Earth, Water, Fire, Air or Space. This is where the adventure begins. Been working on a similar thoughts, only I listen to a random selection of solo piano sonata’s by Mozart played with his original tuning of 432 Hz instead of so called ISO concert pitch 440 Hz My all body feels to be responding and harmonizing. Good article, thank you. You have inspired me to listen to my Calendula album again. Take care. I’ve loved Calendula for years, and use my Biosonic tuning forks often. I’m going to bring them with me to help re-pattern the friend I’m helping. She had spinal surgery a few weeks ago, and I’m assisting her in various ways — cooking, changing the cat litter, shopping, etc. She starts physical therapy in about a week. Love, health, and peace. If we are created by sound…we can be healed by sound. Great Gladness for quoting the master mythmaker Tolkein. I read an interview with Vin Diesel where he begins by asking why Eru Iluvatar created men. My estimation of him rose (not that that should matter to anyone). I would say, at a risk of harping on too much, that what you brilliantly describe is only one layer of the entrapment. In my experience (which is rather poor) the deceptions rise in subtlety as they rise in frequency. But in those realms action ( if it can be termed that) is the only solution, it cannot be told as the distortions here are too great. That is not a pretentious cop out but an inevitability. It has been said that the only creature that can safely traverse the Duat is one who has been initiated in the correct protocols or the one with a pure heart. Of the two I am sure the latter is the surest and most reliable way. I must say your book is good. It pulls no punches and lacks any presence of fluffy bunnies. Well worth reading. As you so rightly say, there are many layers of entrapment that rise in subtlety as they rise in frequency, and I always think about the teachings of Thoth in the Emerald Tablets.He tells us to cease from strife[duality] and when we enter spiritual reality to keep away from the angles, the geometric trap of the third dimension and its corresponding multiverse. I shall have a gift for you in a few weeks ‘O Lover of the Mythos’. Yes! I remember the verse about the angles and avoiding the hunting Hounds. H P Lovecraft wrote a story about a man who plastered all the angles from a room he was hiding in to stop the demons from entering. Sadly, I cannot remember the title. Ah, you wonderful woman, a gift is always gladly accepted – especially that of knowledge. Have you seen about the terrible forest fires in Indonesia? Even though this is all a programme I cannot help but want to protect Arda. We are meant to be the guardians of all life here. Oh how far we have fallen. Ah! Howard Phillips Lovecraft. I love his writing and I think the title you are referring to is ‘The Dreams in the Witch House’. In regards to the fires, I have seen the footage, and like yourself, it saddens my heart to see the sacrifice. But this is a sacrificial planet and the old programme, the Age of Pisces is coming to an end, and I suspect that pretty dam quick, all life in this density will be consumed. Then the farm will be rehashed. A new set of Dna combos will be seeded to trap divine energy, and create the loosh. We exist in a energetic web of all possibility, and so, there will be a time line where Arda is exalted and not fallen. All we have to do to quantum jump out of this frequency is: rid ourselves of the noise of false ego, focus our intent and stay in love with life. Fire and Ice, Ragnarok or Game of Thrones, whichever the people prefer. The Aztec war drum has been sounded and the Atl Tlachinolli brandished while a public spell was cast, in Burnley of all places, under a Rainbow Bridge, not that anyone noticed. It is indicative of the hypnotised, comfortably numb state we are in. I do wonder whether the Muslim invasion of Europe is really to fulfil the Kalachakra Tantra and the agenda of Shamballah. It wouldn’t surprise me. I visited Elva a number of years ago, during a terrible drought. I had some experience as a “rainmaker.” I told Elva that if I could end four, five, and six years of drought with my arrival in different states in Brazil, for strangers, surely I could do something similar for my friends. We were hanging out in a trailer when the rain started. That was great, and Elva stuck her beautiful face out into it. That’s when the hail began. Elva said, “OK. Let’s construct a fire sonic field around the garden.” We mentally and energetically projected the fire sonic field to surround her beautiful garden, from which we’d been eating daily. Next day, she heard from neighbors that their plantings were all hail-damaged. Her garden was not. Learn the shapes of the elemental fields, and use them daily to improve your lives. Health and peace. We are haarp machines in our own right. If we learn the sounds of the element fields-the Pythagorean intervals, the sacred phonetics for each chakra, colours, perfumes and geometrics, we can modulate our reality. Fact or fiction…try itself yourself and find out. A story to learn from. Thank you.